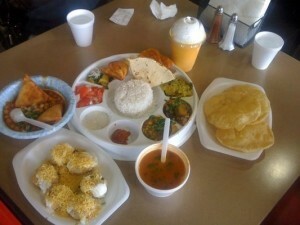 Reviews and recommendations for restaurants we have eaten at. How delicious is this place?! 100% vegetarian cuisine, not that I really know their ingredient list or anything, being an avowed carnivore myself. That is just what everyone claims about the place. Doesn’t matter to me one bit, all that matters is that everything I put in my mouth tasted great. We had a small meal that was, none the less, very filling. It consisted of 3 orders and drinks. Chole Samosa, consisting of 2 vegetable filled puff styled pasties in a mix of spiced chick peas. There was a little sweet and little heat in this. One black roasted Thai like chili and what I suspect was a tamarind sauce that lay waiting in the bottom of the bowl. 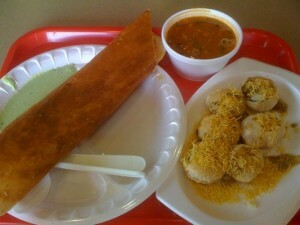 Masala Dosa, consisting of a large bread like crepe that was rolled and stuffed with lightly curried potatoes. This was served with a vegetable based spiced soup and some mint and coconut chutney. Dahi Sev Puri, was purchased at the suggestion of the wait staff. This is a small deep fried whole wheat puff pasty shell stuffed with chick peas, potatoes and a green piquant sauce that I suspected was cilantro based. They were topped off with yogurt. Incredible!! To drink, Maureen had a Mango Lassi and I had a Falooda. The Falooda consisted of rose infused milk with vanilla ice cream and some passion fruit. 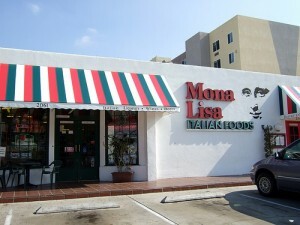 Mona Lisa’s is located right across the street from Assenti’s Pasta. What a great duo! They have a number of things that we love to buy. First off, they have some great home made sausage. They are wrapped continuously so you can buy a sausage that is a couple of feet long. For a nice presentation, we like to coil them into long coils and pan sear them until done. The plain mild Italian sausage is the bomb, we love it. 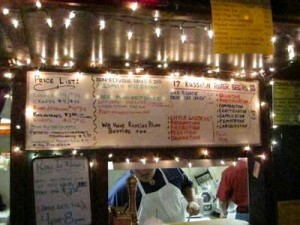 They also have some awesome Provolone balls, rich and authentic stuff, like you won’t find almost anywhere else in town. Pick up a can of the tuna belly if you like canned tuna. It will ruin all other canned tuna for you. Amazingly great. Salted capers and salted anchovies are always on hand. I had an espresso soda that was actually delicious. There sandwiches are quite good and they have a solid selection of Italian wines that are not your typical brands. Looks like someone there knows a thing or two about Italian wine. 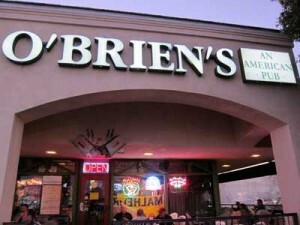 O’Brien’s Pub is kind of a classic, old school, pub. Seems like it is usually full of thirsty guys. My wife always comments that there are over 90% men there. There are places that have a fancier decor, no doubt but NOBODY pours better brew on a regular basis than these guys do. Their tasting events are legendary. You can sign up for their email list at their website. I read every one! A couple of my favorite events this past year have been the Russian River “Tion” tasting and the Alesmith Stout tasting. For the Russian River “Tion” tasting, they feature all 17 of the RR brews whose name end with “tion”. For example, Damnation, Supplication, etc. Most of these are sours. I’ve attended this even for about 3 years now and it took two times before I became addicted to this style. Now I am seeking them out everywhere I go. One other thing they had at one of these events was a cask version of their Porter. That was totally awesome. Imperial styled, this was the best Porter I have ever tasted. Wish I could get it more often! The other event that was awesome was the Alesmith Kopi Luwak Speedway Stout release tasting. This is a coffee bean Stout made from some of the most expensive coffee beans on the planet. Wild stuff, look up Kopi Luwak in Google, if you don’t know about it. Anyhow, along with this, they had some older cask versions of the Speedway Stout there too. As a special treat, I pulled out a bottle of some aged Speedway that had about 3 years on it. I think it was the beer of the night, which is saying something! Anyhow, O’Brien’s rocks for having the best beer. 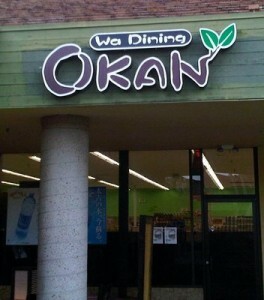 Oh, and they have some decent food. Gastropub style. They make a darned good hamburger with stilton blue and bacon. They do specials all the time and keep a board menu out front, as you walk in. 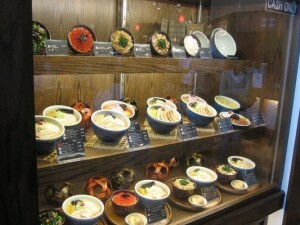 If you are hungry, don’t forget to check it out. They are located in kind of a strange place. 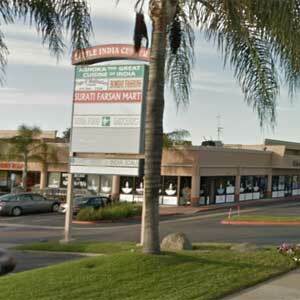 Right in the middle of the Oriental section of Kearny Mesa on Convoy Street. I’’ve been on a hunt for great Pho’s and heard about this Ramen spot. I know it is not Pho but I figured it would be worth a try. Amazing soup!! They have the richest broth base of any soup place I have been to. I would like to know more about how they prepare it. It seems to be pork based and must be cooked over a fairly long period of time. ?? There are other Japanese soup and noodle houses around town, some of them are quite good, but Santouka is in a class all it’s own. If you haven’t been there, GO! I am hooked on their salt ramen. Which is just sliced pork in their fairly plain, unspiced, soup base. 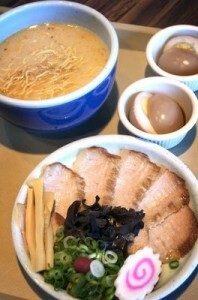 Recently I learned about the shio ramen. That is a special cut of the pork from the cheeks. Super tender, melt in your mouth, pork that approaches butter in richness. It is also considered a salt ramen. I’ve heard others rave about their spicy ramen but I just can’t bring myself to try it because their broth is just so beautifully balanced and the pork is so tender that it seems to me that spiciness could only detract. I love spicy but am thinking perhaps, not in this case. Also, everything comes in three sizes. The medium is really big and I could hardly imagine ever ordering the large, unless you were going to share. This is located within Mitsuwa Market, a really great shop on it’s own. Just southwest of the Balboa and Highway 163.